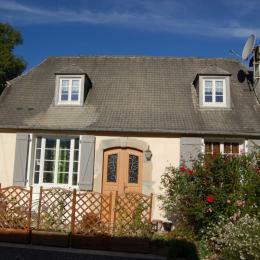 Detached 3-room house (60m²). Peaceful setting in countryside with views of the Pyrenean Mountains. Sports facilities nearby (games area, skate park, tennnis courts, petanque ground, football pitch), hiking, fishing (Gaves de Pau and Ouzom rivers), 2km from shops. Upstairs: sitting/living room with double sofabed and kitchen area + dishwasher + freezer, 1 room with double bed, 1 room with twin beds, shower room, WC. 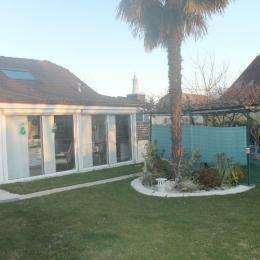 TV, terrace/balcony, garden with garden furniture, plancha griddle, washing machine, garage. Sheets and household linen supplied. Filed on 30/07/2015 Séjour non renseigné. Filed on 05/09/2014 Séjour non renseigné. Filed on 22/08/2014 Séjour non renseigné.